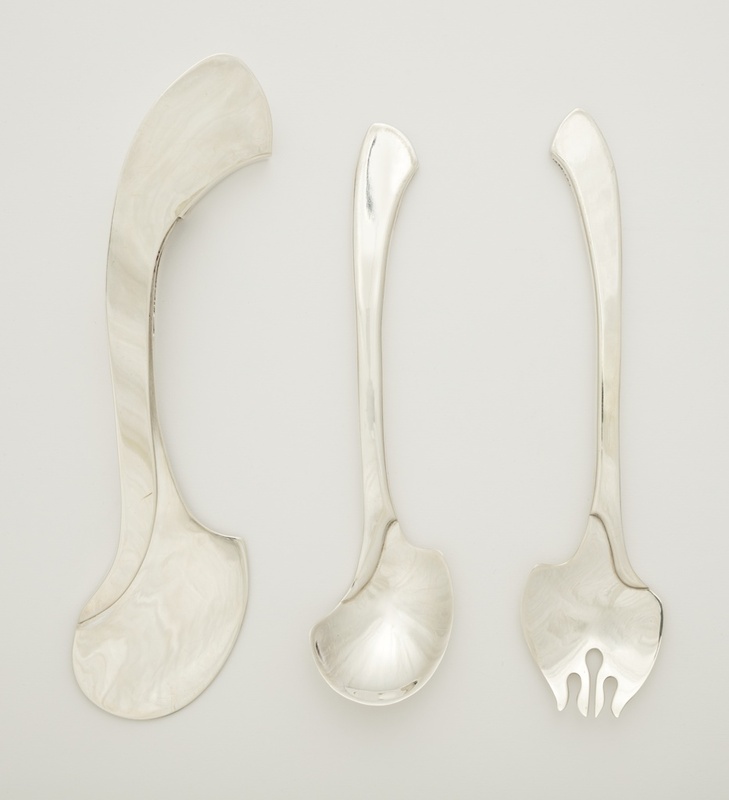 Graham designed this silver flatware set, which is composed of a fork, spoon, and knife. While the set was designed in 1978, its aesthetic, characterized by its curvaceous forms and smooth surfaces, is reminiscent of the Art Nouveau style of the early 20th century. The grouping comes with a unique feature: all three pieces of cutlery interlock to facilitate portability: there are slots in the knife handle that hold both the fork and spoon, and the curved fork tines and spoon bowl fit neatly on either side of the knife blade. [ii] Lupton, Ellen, Feeding Desire: Design and the Tools of the Table, 1500-2005, (New York: Assouline, 2006), 226.